Deciding where to live is not only an important financial decision to make, but it is also a very personal one. Different places across the United States have different opportunities and unique people that live there. You may choose to move somewhere that is close to your family or a place that is not too far away from your job. Americans from all walks of life live in different parts of the country because they enjoy certain climates, cultures or organizations. Even so, money plays a pretty big role in our lives and what we do with them. In order to do the things that we want to do, and be with the people that we love, our financial resources have to be enough to cover all of our various living expenses. While these expenses may be sky-high in bustling cities like New York and San Francisco, you don’t have to go to a small town to find a great, affordable place to live. This article will go over the five most affordable and enjoyable housing markets by state in America, in no particular order. It will also inform you of how you can get the home you want for less than you might expect. Located in the heart of the Midwest, Indiana is full of excellent homes that provide much more value for their listed price. While Indianapolis is a quickly growing city that has lots of opportunities, it also has one of the lowest average housing costs of the top 20 most populous U.S. cities. Many young homeowners have chosen to flock to Indianapolis in the past decade, making it one of the fastest-growing housing markets in the country. Another Indiana city with a very cheap housing market is Marion. Located just northeast of Indianapolis, this city is primarily famous for being the birthplace of such celebrities as James Dean and Jim Davis. Houses in Marion are much cheaper than in Indianapolis, and can even be more spacious due to the amount of space in the city. However, neither of these two cities can top the affordability of Fort Wayne, a city of more than 250,000 people in the northeast corner of the state. Many surveys have rated Fort Wayne to be the most cost-efficient city in the country, due in part to the low taxes and median income levels of its residents. Just next door to the Hoosier state, Ohio has one of the biggest emphases on creating new, affordable housing for its residents. Sitting atop the list of popular housing markets in the state is Columbus, which is one of the most in-demand cities to find a home today. Despite this demand, the state government has made it a focus to provide ample funding to cities across the state, in order to construct more and more affordable homes. If you don’t mind living in a small town or city, Nebraska may be the state for you. While there are plenty of opportunities in the big cities of the state, such as Lincoln or Omaha, those places generally do not have the most affordable housing. Smaller towns, on the other hand, can provide an excellent home options with plenty of space for a lower cost than you might find elsewhere. Part of what makes these cities so attractive are their lower costs of living than other locations. This can include rent costs, food costs, gas prices and more. Some of the most affordable Nebraska homes based on the local markets and median incomes can be found in small cities such as Geneva, Scottsbluff, Norfolk, Waverly and more. Cities such as Minden and Ord are especially cheap to live in, where only roughly 20 percent of residents’ income goes towards housing costs. Finding a great home that is close to the amenities you need should be the top priority when looking for a small Nebraskan town. Its low homeowners insurance costs, on average. Its cheap mortgage payments, on average. Its vibrant cultural scene, with arts and sports at the forefront. Its presence in the auto industry, as home to Ford, General Motors, Cadillac, Chrysler and more. Other cities in Michigan that have excellent housing markets include big cities like Grand Rapids, and small towns like Bay City. Depending on your personal life and needs, finding a quality Michigan home for cheap can be a relatively simple task. Rounding out this list of affordable U.S. housing markets is Iowa, which has many comparisons to Nebraska in terms of population and the housing market. Big cities across the country can often be hit-or-miss with regards to the affordability of their housing. However, Des Moines is consistently one of the most affordable places to live in America due to their usually low cost of living. The city is home to botanical gardens and sculpture parks, and is a quickly growing art hub. Smaller cities in Iowa, such as Cedar Rapids and Stanton, have had a sort of grassroots movement in the past few years to build more affordable housing for the people who need it in the state. While not all towns in the state are growing at the same rate, more and more people are starting to realize the importance of good, affordable housing needs among new and old residents alike. While these states all have one thing in common, in that they are in the Midwest region of America, that is not to say that you can only find affordable housing in the Midwest. Plenty of smaller cities in New York, Texas, Colorado and more have average mortgage levels that are just as low as some of their Midwestern counterparts. 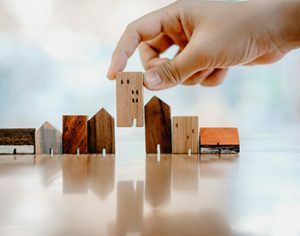 However, if you want to get the most out of your future home, doing your research about local economies and housing markets will help you tremendously in the long run.